Hello, I'm Nenekiri! 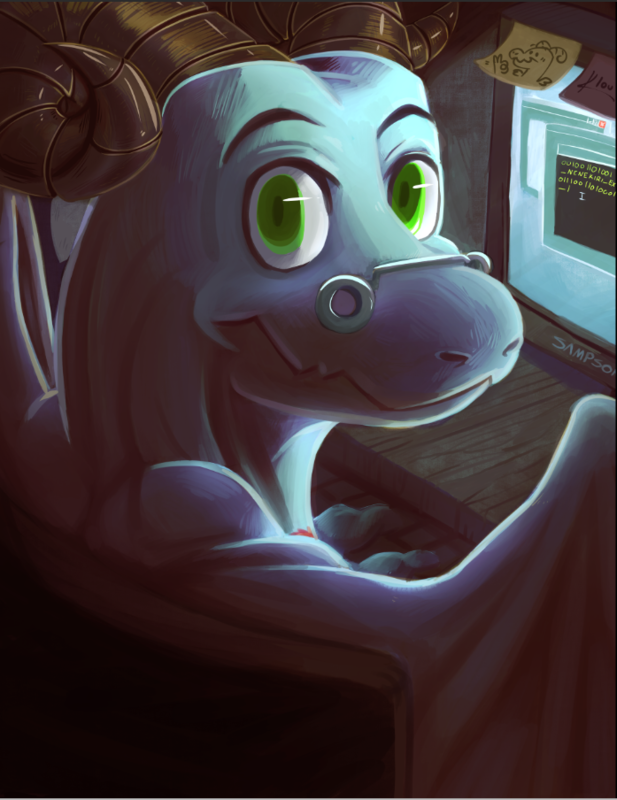 A coding dragon who loves to read, write stories, and write code. The games I make are different, but that's due to wanting to try out odd mechanics or ways to play a game. I love making games and hope that you enjoy your time here! I'm always working on something so keep an eye out for new games and builds in the future. I'm currently working on Monster Hugger! explore the wonders of an old gas station from the perspective of an advanced saucer being! Ruphel the chinchilla has come across a strange trinket in the middle of nowhere. What will you do with it? Ain't no mountain high enough, ain't no river deep enough to keep these dragons apart! This is both parts of my game for the Global Game Jam 2018 where the theme was transition! What would you do if you could start it all over? A game where time is of the essence and your future painting career hangs in the balance! A story in which you must guide a math professor to his greater destiny. Help the doctor escape the patient that he thought he cured. Follow Murph as he gets ready for his day. Help a small bird collect his favorite food, sunflower seeds! An endless runner that's both heavenly and hellish to play! A simple platformer with a tasty twist! Role-Playing game in which you level down instead of up!